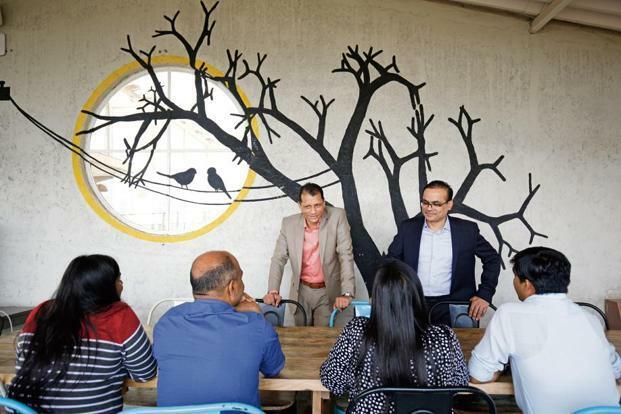 In 2014, over a beer, childhood friends Kamal Karanth and Anil Kumar Ethanur decided to quit their high-paying jobs as managing directors of competing international staffing firms and start a business together. “We never imagined we would start our own company,” says 45-year-old Ethanur, “but I saw entrepreneurship as the ultimate challenge and wanted to give it a shot.” Karanth felt his career was stagnating and wanted to tap into the fast-growing staffing industry, pegged to grow to a $20 billion (around ₹1.3 trillion) market in India. “We weren’t making any difference to our clients beyond filling their recruitment needs,” says 46-year-old Karanth. Despite the challenges, late-life career changes often result in a positive emotional outlook, according to a study published in January in The International Journal Of Ageing And Human Development. Three important factors contribute to this. “If you have the financial resources, your family is supportive, and you wanted to change your career rather than ‘had to’, you will be in a positive state during the transition phase,” says Eric Vogelsang, assistant professor, sociology, at California State University, and the study researcher. It’s important to start saving money during your younger working years to prepare for possible career changes in future, no matter whether you want the change or are forced into it by a change in the economy. Vijay Arisetty, 41, was forced to give up his career as a helicopter pilot with the Indian Air Force after a shoulder injury. In his early 30s at the time, Arisetty joined the Indian School of Business, Hyderabad, to learn the ropes of management. 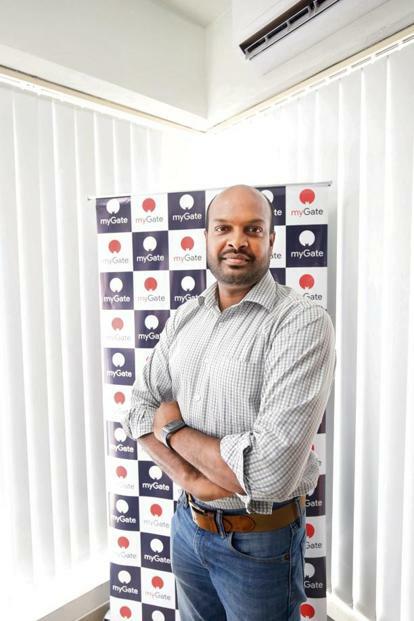 He worked with Goldman Sachs for four years, quitting in 2012 to start a cab aggregating company, PyngCabs; Arisetty shut it down the very next year as he could not scale operations. In 2014, the then 37-year-old started Kitchensfood, a home-cooked food delivery platform; it failed too. It was with his third start-up, myGate, a security app for apartment complexes launched in 2016, that Arisetty tasted success. “My experiences in different careers have helped me look at a problem with different perspectives and come up with alternative solutions,” he says, adding that work values like willingness to learn, punctuality and teamwork have remained constants. “You’re never to old to start. Keep an open mind, be humble, ask for mentorship, and roll up your sleeves to understand the nuts and bolts of the new career, and you’ll succeed no matter what your age,” he says. Karanth is glad he planned financially for three years so he could focus on the business. It has been 20 months since he left his job and he feels the hardest part is accepting that you’re a “nobody”. “It is a humbling experience. You have to be motivated, keep yourself fit as you’re not young any more, be organized, learn new technologies and unlearn to work with millennials with a no-frills, non-hierarchical mindset,” he says. The biggest challenge is finding your feet in the new career, says Prof. Neharika Vohra of the Indian Institute of Management, Ahmedabad, who has seen career-pivoting post 40 becoming more popular in India. “You’ve moved away from your comfort zone, you need to learn so many new things constantly, and it might involve a change in status and money,” she says, adding that family support and the requisite training help. Ethanur agrees. “Nothing can prepare you for this journey,” he says. Even though investors are more welcoming of mid-career stage founders, and both he and Karanth have extensive networks in their industry, it’s the constant learning and need to be hands-on in a new business that he finds an uphill task. “What counts is your ability to learn new skills and pick up new habits,” he says. He also believes a good mentor, someone who is outside your friend and family circle, and with whom you can honestly share your struggles, is essential. Prepare yourself. Gather the skills needed for the new job. Take courses, if required, or get a mentor. Accept that it will change your life drastically, that you’re stepping out of your comfort zone. If you’re not determined, you’ll quit at the first sign of trouble. Plan the money. Make sure you have at least a few years of savings or investments to continue your current lifestyle, so you or people dependent on you don’t suffer too much when that regular salary stops. Prepare your family. Ensure their lifestyle doesn’t change overnight. Bring them on board. That will save you emotional stress later on. Roll up your sleeves. You might have been a managing director in your last career, but you need to learn the ropes of the new one. Keep your ego on the back-burner and be ready to listen to and learn from people half your age. Unlearn and relearn. When you switch careers, it’s your ability to learn new skills and pick up new habits which become most important. Be open, humble and ready to pick up new things. Be a mentee till you adjust to your new role.